SPOILER ALERT! 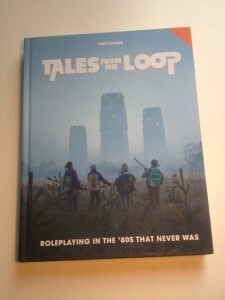 : This review contains spoilers from the third adventure in the campaign from the core rulebook of Tales from the Loop. If you are intending to be a player in this scenario, you might want to stop reading now. 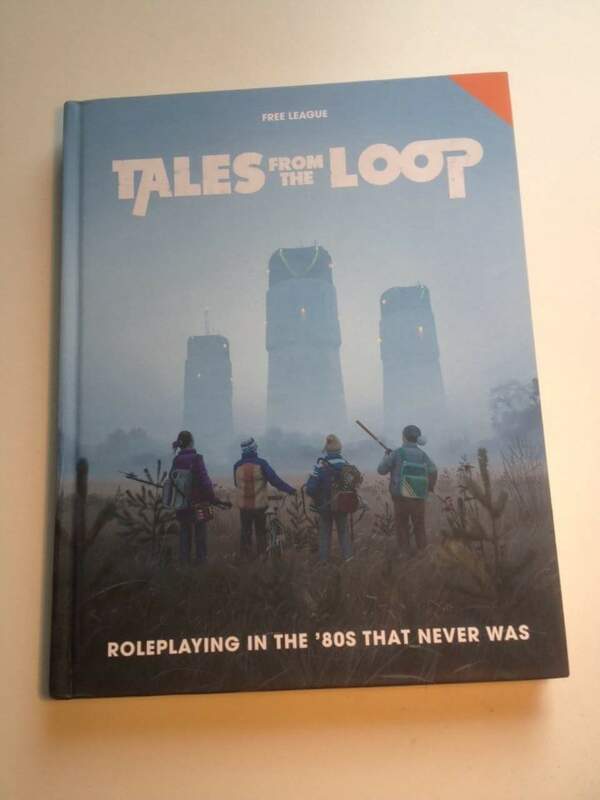 I recently ran “Creatures from the Cretaceous”, the third adventure included in the core rulebook of Tales from the Loop. This scenario brings the Kids face-to-face against two deadly foes: the icy cold of a Swedish winter, and dinosaurs. Lots of dinosaurs. In this review I want to talk about how I wasn’t sure at first of how this scenario would play out, what with all the nods to Jurassic Park and the Kids needing to do a lot of running away. However, it turned out to be really thrilling adventure for our group. There’s so much danger to put the Kids into, and so many narrow escapes. 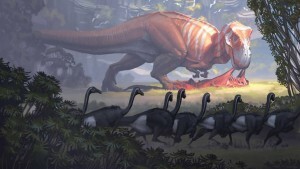 Of the first three adventures in the core campaign, “Creatures from the Cretaceous” would stand-out as the most enjoyable for me as GM to run and the most involving for the players. As I’ve mentioned elsewhere on Games vs Play, I’ve been adapting the “Four Seasons of Mad Science” campaign to fit with a story-arc that pits our PCs (the “D&D Kids”) against a rival group of NPC Kids (the “Hatcher Gang”). Originally I developed this story-arc to give the PCs a secondary but more immediate enemy than the main antagonist of the campaign, the disgraced former scientist Lena Thelin. Lena is a great villain to run – she’s vain, aloof and quite unpredictable – but in the core TFL campaign I felt she played out most of her nefarious plans in the background. The Kids rarely got to confront her head on, and consequently her motivations weren’t always apparent, which I felt lessened her threat as an adversary. In contrast, I’ve designed the Hatcher Gang to be right up in the D&D Kids’ collective grill all the time. They go to the same school as the D&D Kids, and the Hatcher Gang’s leader – the devious Popular Kid Jonathan Nyqvist – has an Anchor who is not only the police chief in Stenhamra but also the father of two our Kids. So, the first thing I did in “Creatures of the Cretaceous” was to change the hook to bring the Hatcher Gang into the scenario. In the original adventure, the PCs are searching for a lost dog in order to collect a 200 kronor reward. During their search the PCs come into conflict with a trio of teenaged punks from Stockholm who are also trying to collect the reward. I decided to replace these NPCs with the Hatcher Gang, which fitted in perfectly with the overall story-arc of our campaign and also provided a nice opportunity to connect the Hatcher Gang with Lena Thelin. Now don’t get me wrong, I think the original hook of the missing-dog-reward would work well in an introductory adventure. 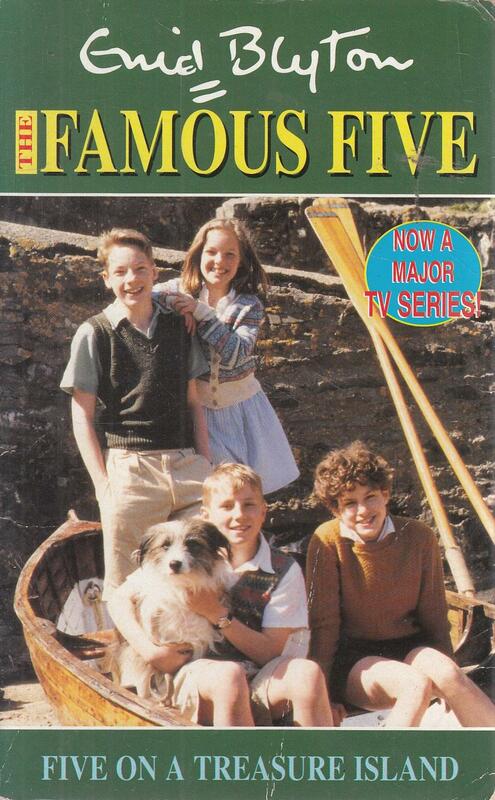 Certainly it captures the innocence of something like The Famous Five or BMX Bandits (and imagine the possibilities for an RPG based on either of those two properties). But, coming in at the start of the third adventure, by which time our Kids had cheated death numerous times and generally learnt how to handle themselves, it seemed like a fairly weak motivation to send them trekking out across the frozen lakes and forests of a Swedish winter. I decided I would keep the basic bones of the the hook, but turned it into a dog-napping scenario instead. One of the Kids in our party is called Owl, a 12-year-old Bookworm whose Iconic Item is a plucky little Jack Russell Terrier named Toto. I began the adventure after school on Friday 13 December 1985, which also happened to be the date of the Lucia festival in Sweden. Before going to the Lucia parade in Kungsberga, Owl discovers that her dog Toto is missing. She finds a note left in Toto’s kennel, which instructs Owl and her friends to secretly meet the Hatcher Gang on the island of Adelsö, where Toto will be returned only after the PCs agree to assist the Hatcher Gang in some unspecified task. In the Showdown of the adventure I revealed that the Hatcher Gang kidnapped Owl’s dog to blackmail the D&D Kids into helping them rescue Lena Thelin, who’s trapped in the Cretaceous (as she is in the original adventure). It turns out that Lena is a mentor of sorts for Jonathan Nyqvist, who hero-worships the haughty scientist even though she treats him with undisguised disdain. 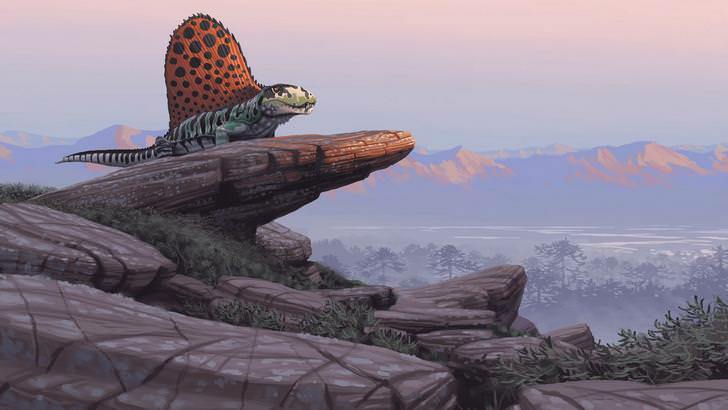 Without giving away any spoilers to my own players, I set up this reveal at the end of “Creatures from the Cretaceous” so that I could introduce a crucial plotline that will become important in later adventures. The intervening parts of the adventure – the journey across the frozen lake to Adelsö, learning the truth about the missing skier and the confrontations with various dinosaurs – I ran pretty much as appeared in the scenario. One of the strengths of this particular scenario is the setting of the Mälaren Islands in the grip of mid-winter. Winter is the cruelest of seasons. It’s the adversary of life – winter doesn’t care if you live or die – and this was exactly how I ran the adventure. 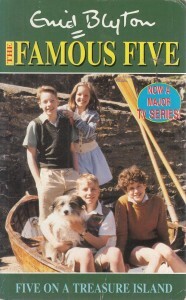 I think the writers of the scenario did a great job of setting the scene for the Kids’ journey across the snow and ice, providing plenty of tools for GMs to use – for instance, I rigorously enforced the guidelines that required the Kids to make a Force roll or suffer a Condition every time they travelled anywhere by foot. From the narrativist aspect of running the adventure, I played up the sense of isolation once the Kids got to Adelsö. I described this island as being almost uninhabited during winter, with all the fishing and hunting shacks that were filled with holidaymakers over summer now boarded up. I allowed the Kids to lose their bearings a couple of times on Adelsö, just to stress that this was an environment that was inherently deceptive. Once they entered the island’s dark forests they were on their own. No one would be coming to find them if they got lost. Except, of course, for the dinosaurs. When it’s put it like that, the premise of this scenario does sound a little, er, unlikely. Judging from some online discussions I’ve seen, there are fans of TFL who feel that throwing dinosaurs into an otherwise highly original and detailed RPG setting seemed a touch gratuitous. To be fair though, dinosaurs were always part of the world of the Loop. In Simon Stålenhag’s original art book on which the RPG is based, dinosaurs appear as splashes of fearsome colour against a drab background of autumnal trees and patchy snow. 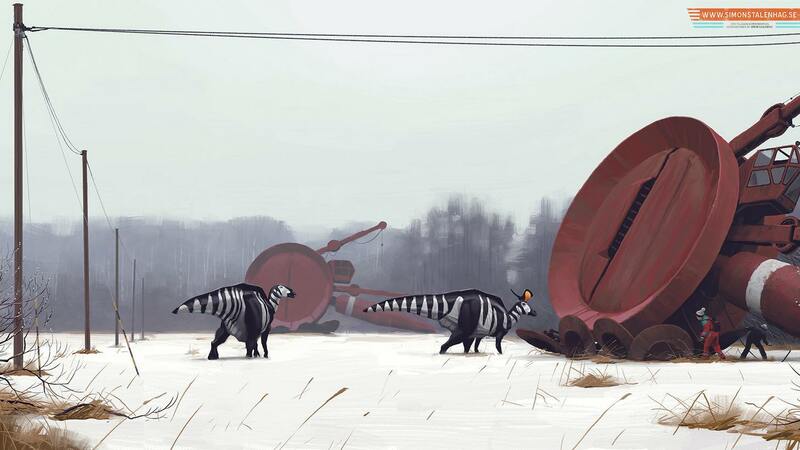 Like everything else in the book they’re wonderfully evocative – Stålenhag’s dinosaurs seem to come alive on the page, and it’s not surprising that before Tales from the Loop Stålenhag created paleo-art installations for museum exhibitions. It makes perfect sense then to structure a whole scenario around them. And yet that still didn’t reassure me about how to actually run dinosaurs in this adventure. If the dinosaurs are practically invincible in game terms, what options do the Kids have except to run away or be Broken? And on the other hand, because PCs can’t be killed in TFL, why should they be frightened of dinosaurs at all? The answers to these questions emerged while we were playing the scenario. 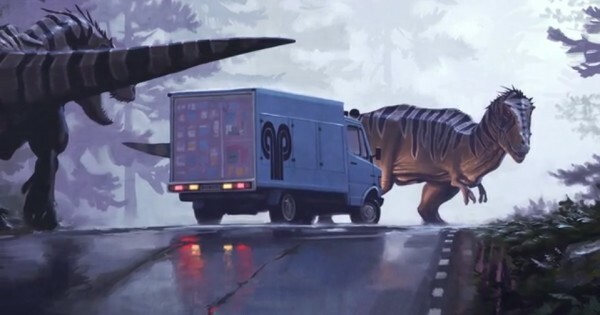 The first thing I realised about the dinosaurs was that even if the Kids couldn’t die, the players themselves didn’t want their characters to become Broken. Partly this was because being Broken effectively stops PCs from taking any action that requires rolling dice. 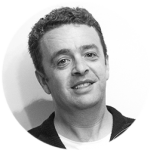 You’re not out of the game, but a Broken Kid can’t use any of their Skills and quickly becomes entirely dependent on the other Kids. We discovered this when poor old Owl – who’d already had her dog kidnapped – became Broken after being savaged by a velociraptor. As far as gameplay goes, being Broken isn’t much fun. But on top of this, I also got the very strong impression that my players did not want their Kids to become Broken just because it sounded so terribly awful. When Owl was caught by the velociraptor it was the first time any of our Kids had been Broken, and the shock and disbelief from the group was palpable. I don’t know, perhaps it made my players reflect on their own vulnerability when they were kids – but the dinosaurs emerged in this scenario as a real and serious threat to the Kids, just as daunting but somehow more real than an adult red dragon would be for a party of 2nd level adventurers in D&D. This realisation led me to find a way to use the dinosaurs effectively in the adventure. Sure, the dinosaurs couldn’t kill the Kids, and the Kids couldn’t defeat the dinosaurs in head-to-head combat. The trick, then, was not to run the dinosaurs as boss monsters. Instead, it was better to use the dinosaurs as agents of Extended Trouble, a feature of the TFL rules that fuses roleplaying narrative and game mechanics into a single gestalt scene. 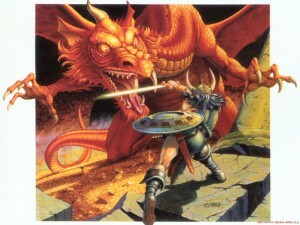 For historians of RPGs, this concept has been around for a while – for example, “gestalt combat” appears in the 1992 first edition of Over the Edge. I found that placing the dinosaurs at the centre of Extended Trouble where PC and NPC actions occur simultaneously turned the encounter from a statistically unwinnable confrontation into a complete mise-en-scène (if you wanna get fancy), which could only be resolved through a combination of the PCs using their skills, the resources available to them, and their imagination. Thus, encounters that would be resolved by a series of crunchy dice rolls in other game systems became thrilling set pieces instead. For example, at one point the Kids found themselves cornered inside a cellar by a raging T-Rex. The T-Rex immediately began clawing at the trapdoor, in the way that a chicken will scratch and peck in the dirt for worms – except that this chicken had jaws the size of a family sedan and the worms were a bunch of terrified kids. Thinking quickly, the PCs lit improvised torches made from the straw that littered the floor of the cellar. The smoke and flames persuaded the T-Rex to remove its snout, but it set alight the rest of the straw in the cellar, too. The Kids managed to escape the T-Rex, only to find themselves in a barn that was about to burn down around them – and for reasons critical to the adventure that I won’t reveal here, this was something they definitely didn’t want to happen. 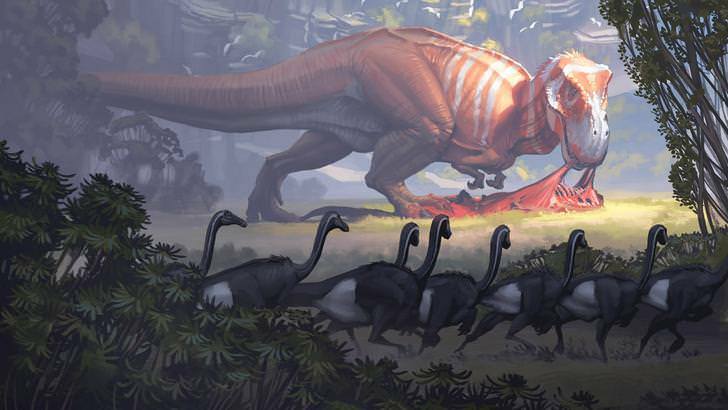 Speaking as GM and going on the feedback from our group, I would say “Creatures from the Cretaceous” was the best of the scenarios we’ve played so far from the core TFL campaign. The main tips I would give to other GMs would be to overplay the atmosphere of winter ice and snow, and to use the dinosaurs in scenes of Extended Trouble so that the Kids have to use all of their ingenuity to escape. Also, don’t hesitate to allow a Kid to become Broken – this adventure should be a tough one that presents real dangers to the Kids. 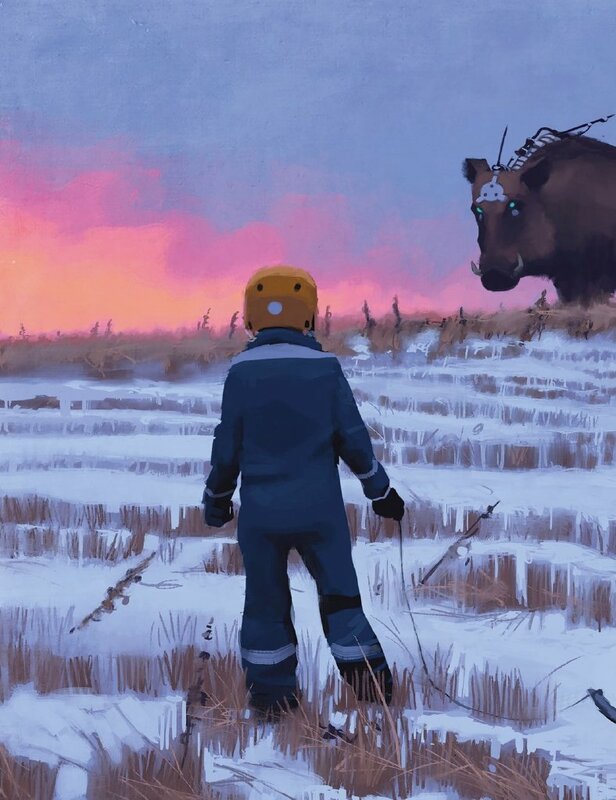 And if you have a copy of Simon Stålenhag’s original Tales from the Loop, bring it along to the session. The images of snowy forests and out-of-place dinosaurs will really help set the scene for this adventure. Image sources: Banner image (Simon Stålenhag) – Geek & Sundry; Tales from the Loop RPG cover – Games vs Play; The Five on a Treasure Island book cover - AbeBooks; child standing in snow (Simon Stålenhag) – Modiphius; dinosaurs in snow (Simon Stålenhag) – Imgur; Dimetrodon and T-Rex feeding (Simon Stålenhag) – Imgur; red dragon – En World; dinosaurs in field (Simon Stålenhag) – Imgur.